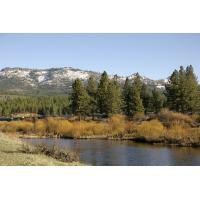 Stretching along the Middle Fork of the Feather River to the sprawling Sierra Valley there is much to see and do. 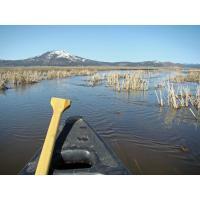 Eastern Plumas offers premiere activities.There are miles and miles of beautiful scenery - mountains, wild flowers, fall colors, lakes- and this is just a taste of what is offered in Eastern Plumas County. 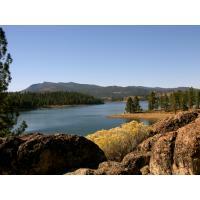 Frenchman Lake is located on Little Last Chance Creek, a tributary of the Middle Fork Feather River, about 37 miles northwest of Reno and 26 miles northeast of Portola. The lake is part of the Upper Feather River Project within the Plumas National Forest, and was constructed to provide recreation opportunities, to maintain the natural beauty of the area, and to enhance fish habitat in the creek. 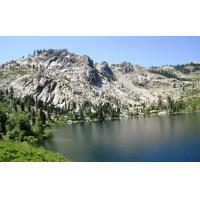 Frenchman Lake also supplies irrigation water for Sierra Valley. Activities: camping, fishing, picnicking, swimming, water skiing, boating, hiking, hunting, cross-country skiing and snowmobiling. 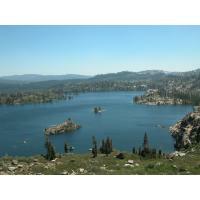 Frenchman Lake typifies the beauty of the Plumas County region with its forested lands. Rainbow trout, including Eagle Lake strain, are stocked in Frenchman Lake. Mule deer are the area's most common big game. 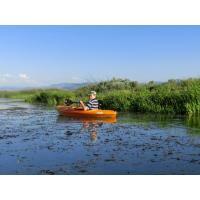 Fishing and hunting are regulated by the California Department of Fish and Game. Lake Davis was constructed to improve fish habitat in the creek, provide recreation, and supply water to the city of Portola. It is the largest of the three Upper Feather River lakes, located on Grizzly Creek, a tributary of the middle Fork Feather River. 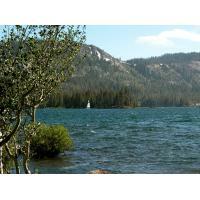 The lake is part of the Upper Feather River Project within the Plumas National Forest, and was constructed to provide recreation opportunities and to maintain the natural beauty of the area. Directions: Take West Street north from Portola on Highway 70 (West Street becomes Lake Davis Road); or take Grizzly Road, which is three miles north of Portola. Grizzly Road connects with Lake Davis Road at Lake Davis. 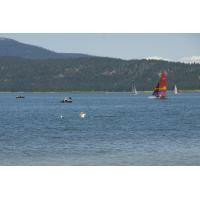 Activities: camping, fishing, picnicking, boating, hunting, hiking, cross-country skiing and snowmobiling. 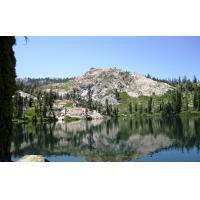 The area was formed by glaciers and is characterized by breathtaking mountain scenery--most notably the craggy peaks of the Sierra Buttes and over20 natural glacial lakes, most of which are accessible by well maintained hiking trails. 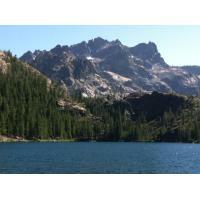 Gold Lakes Basin offers a variety of recreational activities including boating, fishing and hiking. A network of over 30 miles of maintained trails branch out across the area, and the Pacific Crest trail can be easily reached from the trail system.